Highest Elevation: 8700Ft ( according to the Nike GSP watch Aaron wears) We think we had a total gain of 2000 ft with the ups and downs. Pets: Yes on leash only, and all the dogs were actually on leash which was a first. This leads me to believe that there is strict enforcement of the rule. 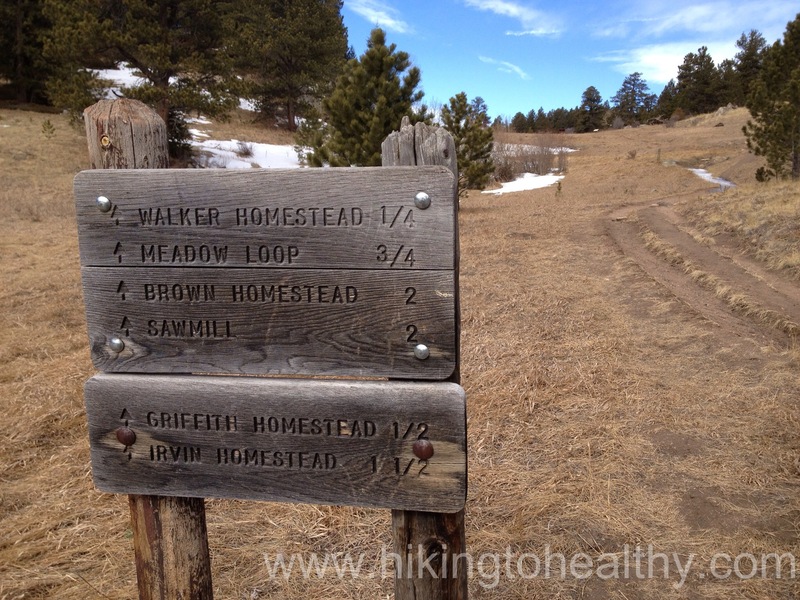 I picked today’s hike from the Falcon Guide – Best Hikes Near Denver & Boulder for the Homestead Meadows hike. 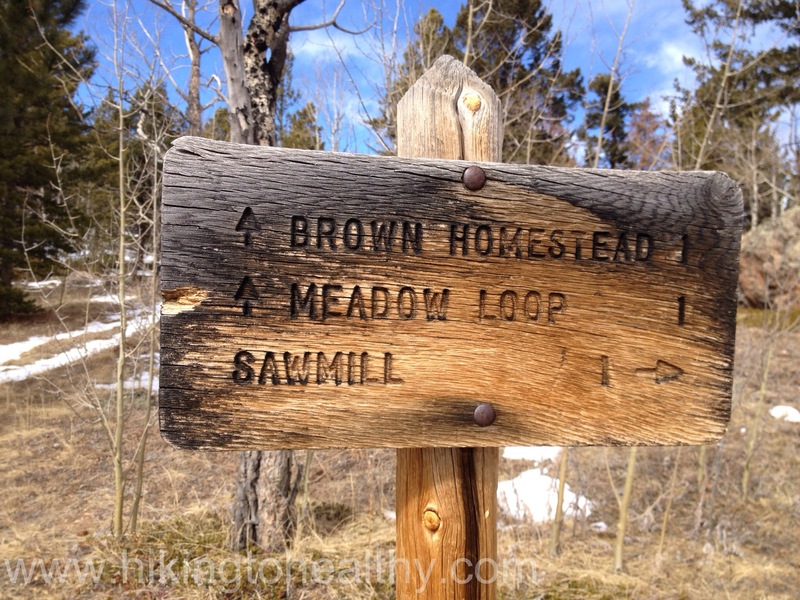 What is really interesting about this particular hike is that the Meadow Loop itself is an outdoor museum that reflects those brave people who took advantage of the homestead act in the 1860’s. 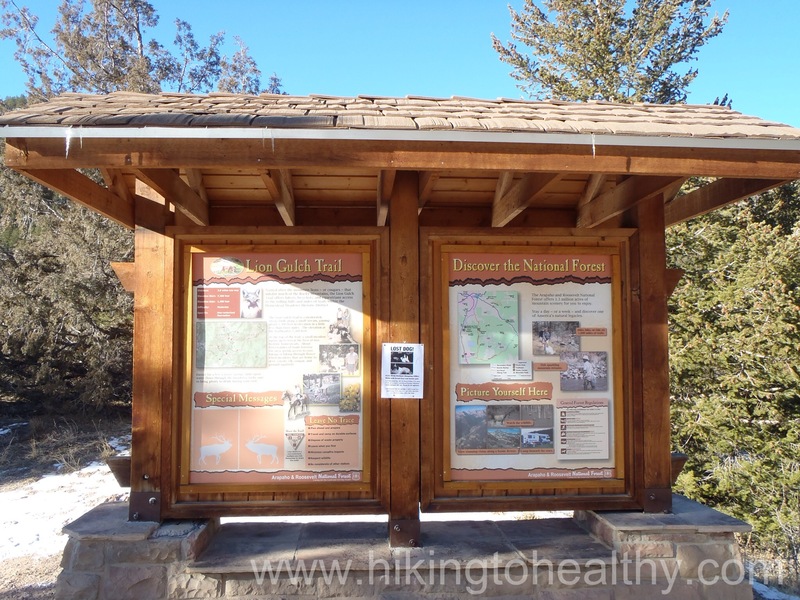 The original hike suggestion has the hiker starting from Hermit Park Open Space which is privately owned and so has a fee associated with going in that way. 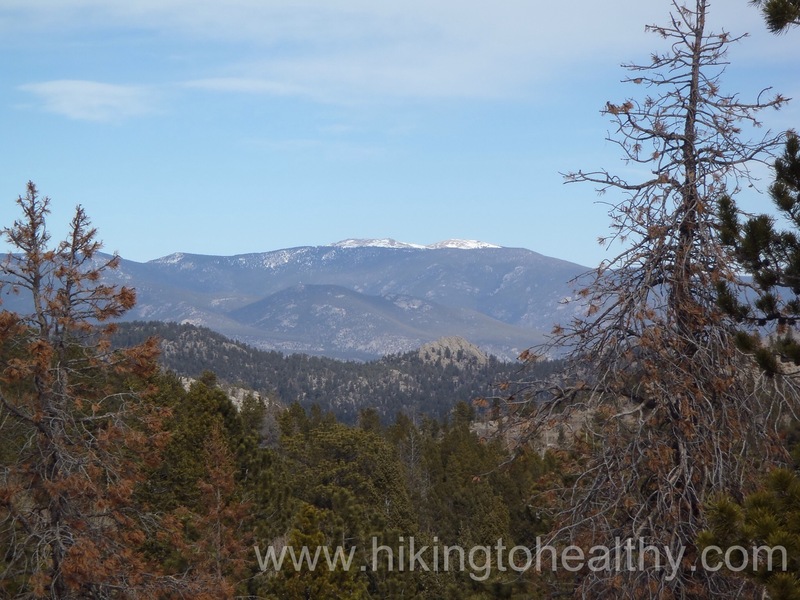 It also is not that tough of an elevation gain at just +720 and we didn’t do a tough elevation gain hike last week either, so I started reading as much as I could on the area and my options. At the end of the hike description are some options and we took one of those which had us starting at Lion Gulch, this gave us an extra 2.1 miles with elevation gain of almost 1400, not counting the numerous ups and downs so it was closer to 2000 feet in total elevation gain. It was exactly what we needed. Map of the Homesteads you can visit. 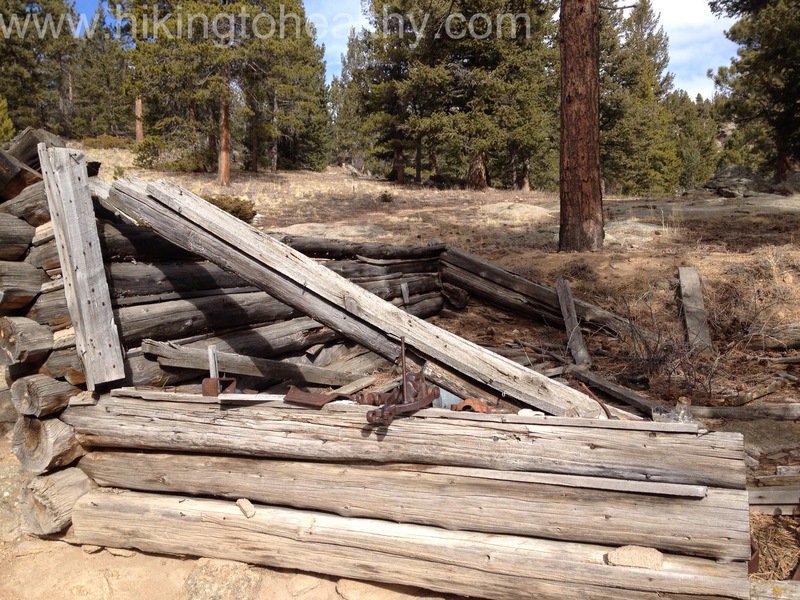 What is really cool about going this way is that those original homesteaders would use this exact path to go to and from Lyons and/or Estes Park to sell their goods or work. I know all the trails have great history, but this one really stuck with me for some reason maybe it was their sense of adventure and hope. 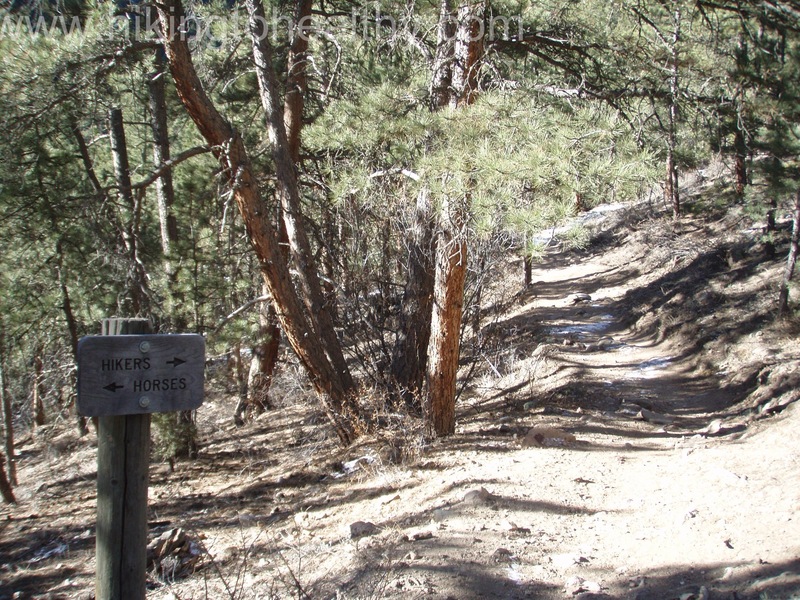 It climbs up and over the creek, crossing it about 10 times, maybe more and in some places there is an option between the horse path and hiker path. 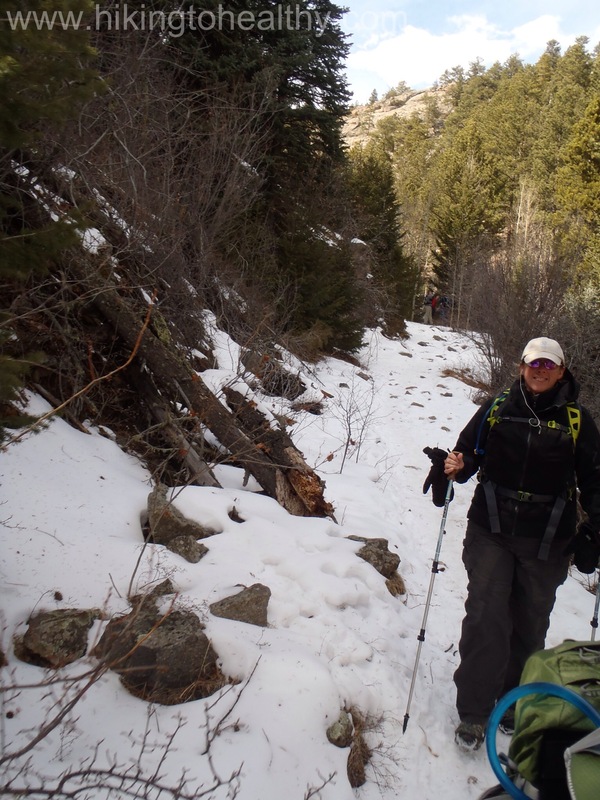 I loved this climb, it was constantly changing between challenging and easy both because of the elevation we were gaining and the snow/ice on the trail. 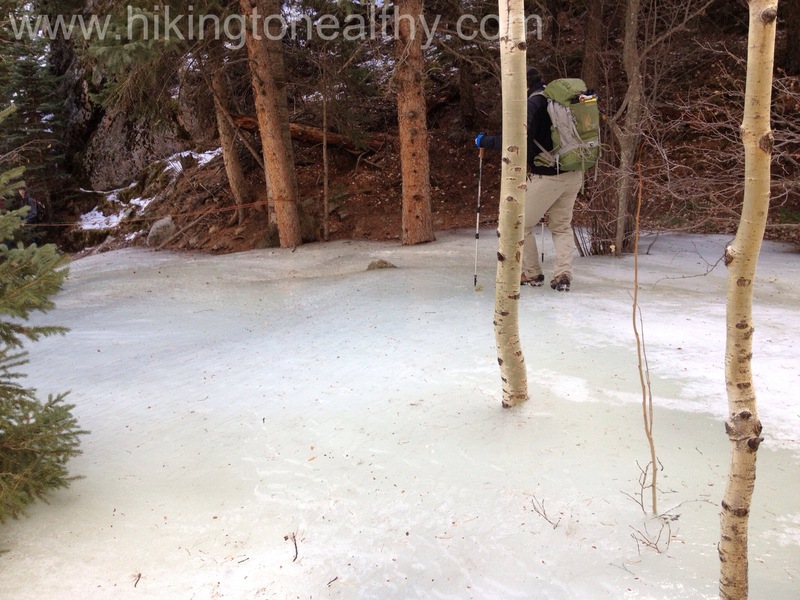 As we were getting closer to the top of our major climb, we came across the trail’s ice skating rink portion. It’s not really mentioned anywhere on any hike description and was a surprise to every hiker that had to try to pass, fortunately we had brought our crampons so getting through it wasn’t nearly as tricky for us as it was for everyone else not similarly equipped. It was our first time using them and man did they rock, going up was easy going while down was just ok. Fortunately there was a group of scouts who came prepared and I was able to grab their rope before I bit it. 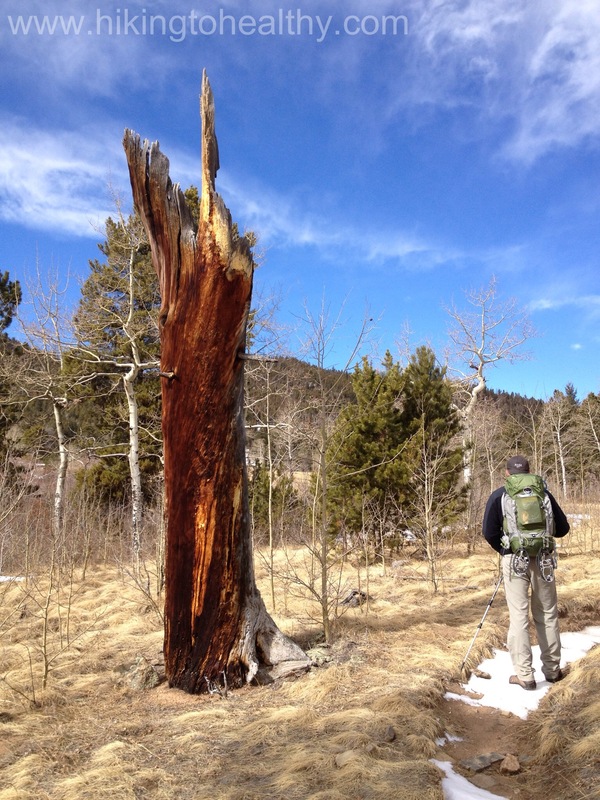 We think it actually prevented a lot of hikers from making it to the meadows above. This is also where the trail starts to leave the creek with the beautiful tree cover and opens up in the meadows of the Homestead Meadow trails. After walking up to the main trail break we went to our right, to go past the Griffith homestead and then onto the meadow loop. 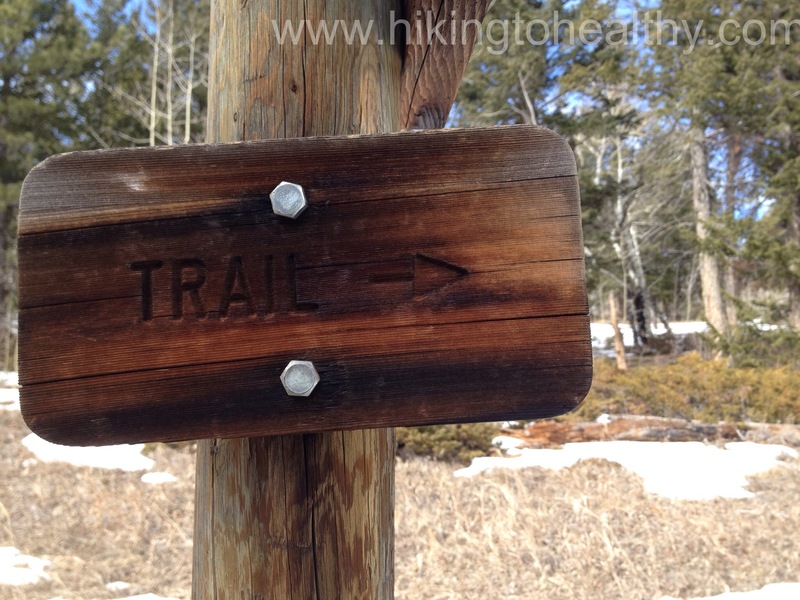 I would like to say it was all pretty easy to follow by the trail markers alone but it wasn’t, in fact I referred to my hiking book a lot to make sure we were going the right way for the hike we wanted. 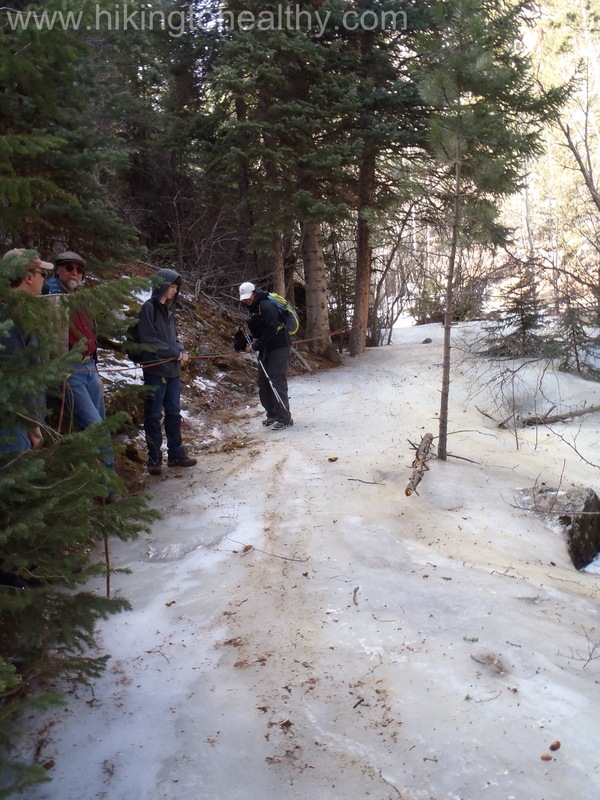 Also this loop is not popular in the winter/spring, we had to walk through a lot of snow on the path and ours were often the only and first foot prints. After we went past the Griffith Homestead we started hitting that snow and then got to use our gators also for the first time too, it was pretty exciting! It made us feel like we knew what we were doing, well really like Aaron knew what he was doing because I couldn’t get these or the crampons on without his help. Plus we were the only ones there, we had the whole loop to ourselves and we loved it! While there are some beautiful views to been seen once you get to the Homestead Meadows, they aren’t totally spectacular. 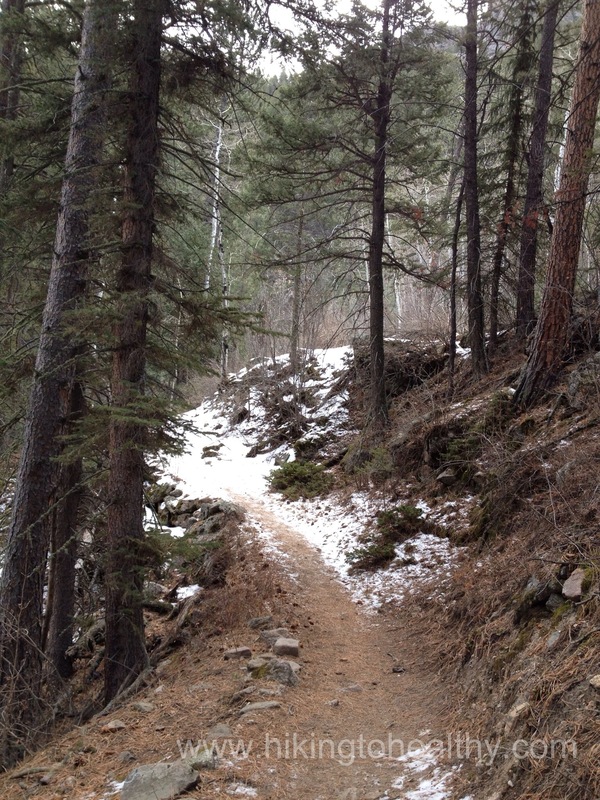 Strangely though it is now one of or favorites, the whole trail is just beautiful in its composition. 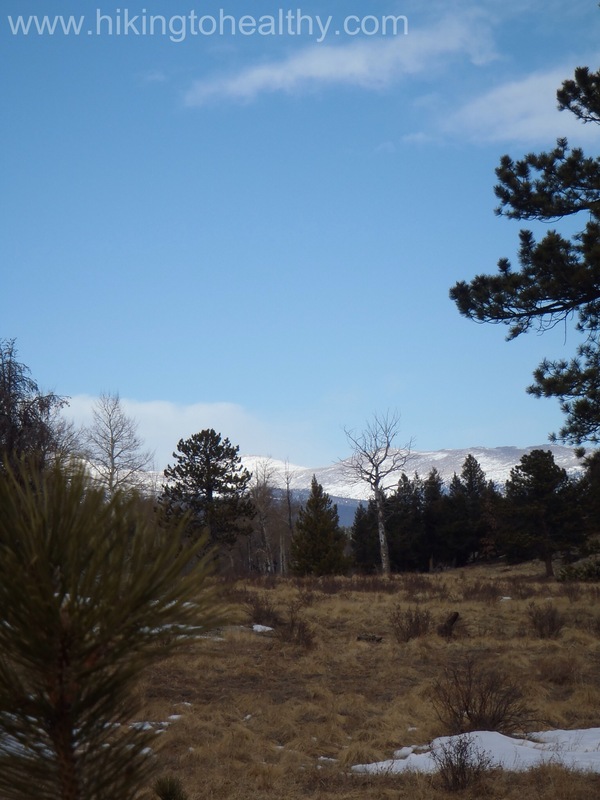 The way it winds along the creek through beautiful lodge pines and Aspens while the tops of the surrounding mountains are constantly peaking through. It was really motivating and peaceful. Then the meadows are rich in their feeling of history and perseverance of those brave people. I have read it is a high traffic trail in the summer and fall, but it was not that crowded this weekend which is probably not when it is at its best but I loved the solitude we got to have while explored. 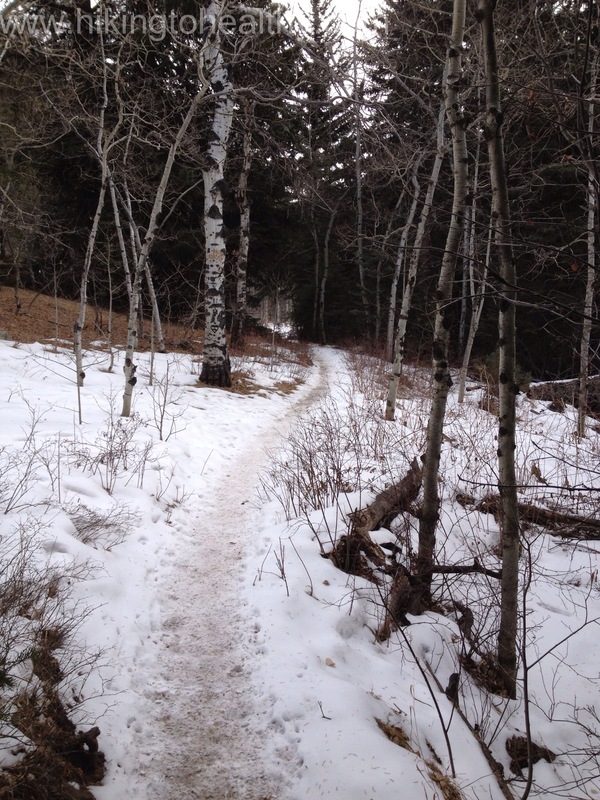 It is a great trail and I hope I can take more people through there in the future. 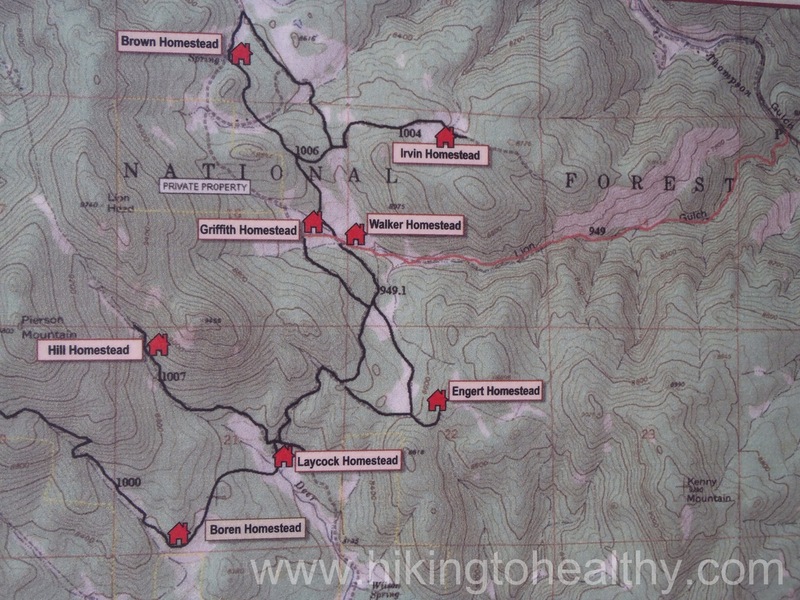 I will put our favorite pictures after the directions to the trailhead. From Lyons, take 36 towards Estes Park. 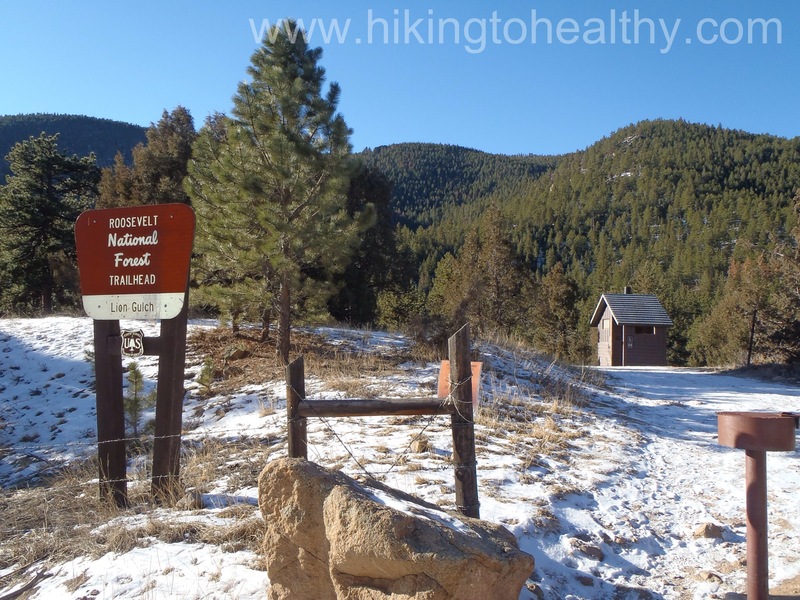 The parking lot and trailhead are 12.3 miles from where 7 & 36 split right at mile marker 8 on the left side of the road. The end of the ice is so close…. WOW thanks Andrew! Honestly all the work you do for your different events always inspires me too! Keep it up! This does indeed look like a beautiful hike. 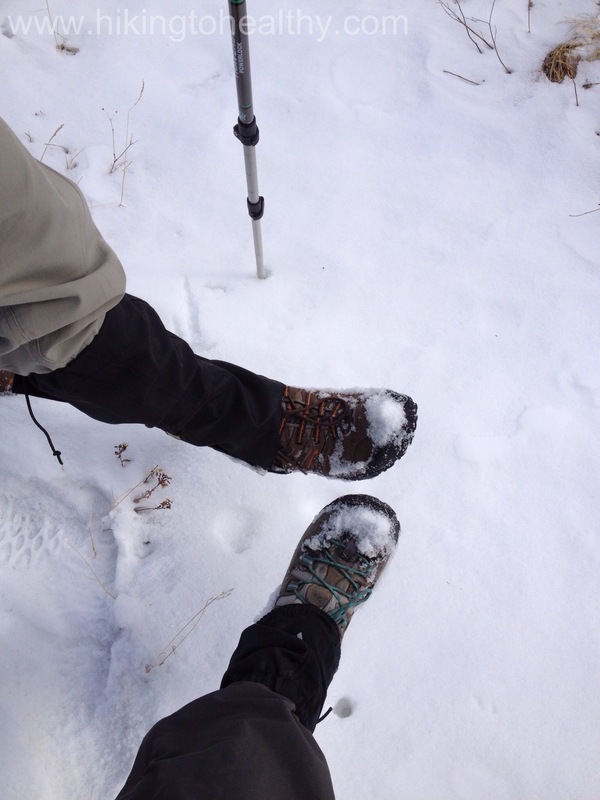 And just look at the two of you with your snow and ice hiking gear!! Proud of you for not letting the winter weather stop you from getting out there. 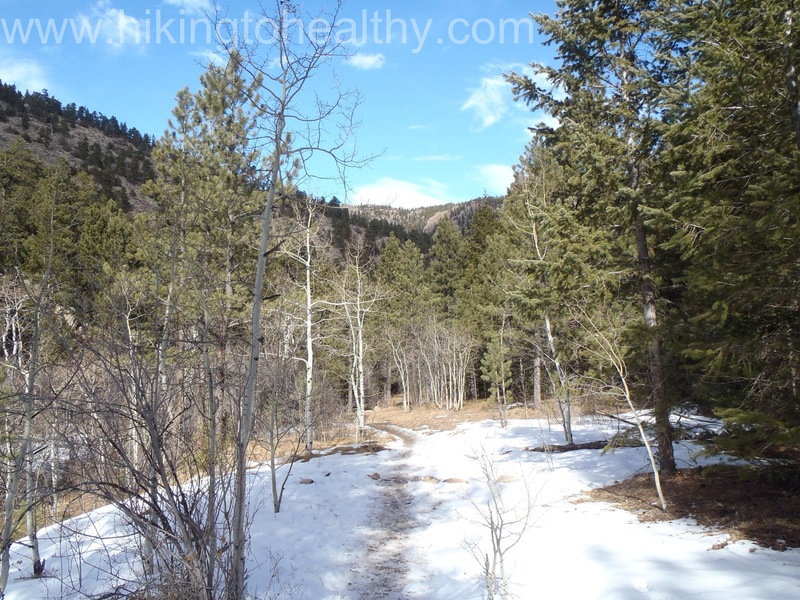 I love hiking in the winter – no bugs, no crowds, less sweating! 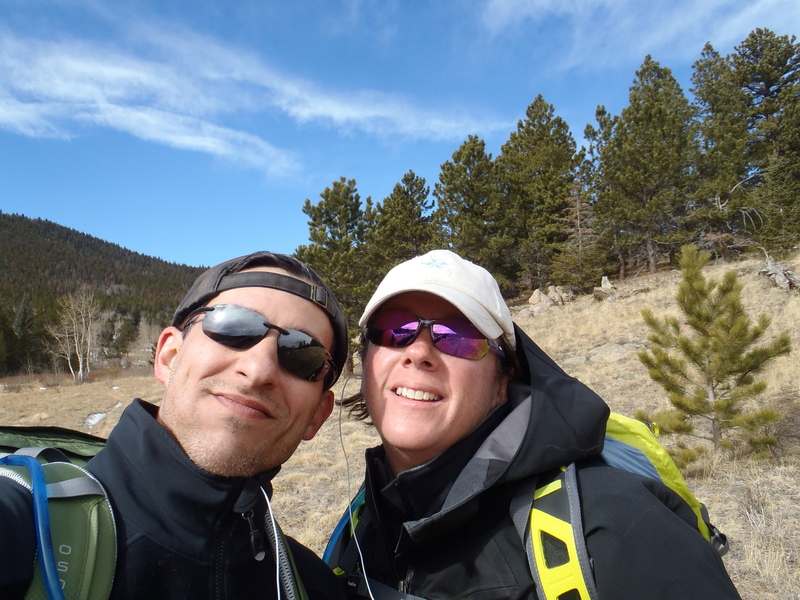 You hit on the top reasons for us too, plus I just need to keep at it or we will never be ready for our 1st 14er this summer. Beautiful ! I enjoy your posts so much. My plans continue for doing the Camino de Santiago beginning in September. Your posts have inspired me to make a “Tune-Up” trip to Durango and the San Juans in July. Can’t wait ! That is great, I haven’t been to Durango yet so I hope you write it up! The Camino de Santiago will be so amazing!!! 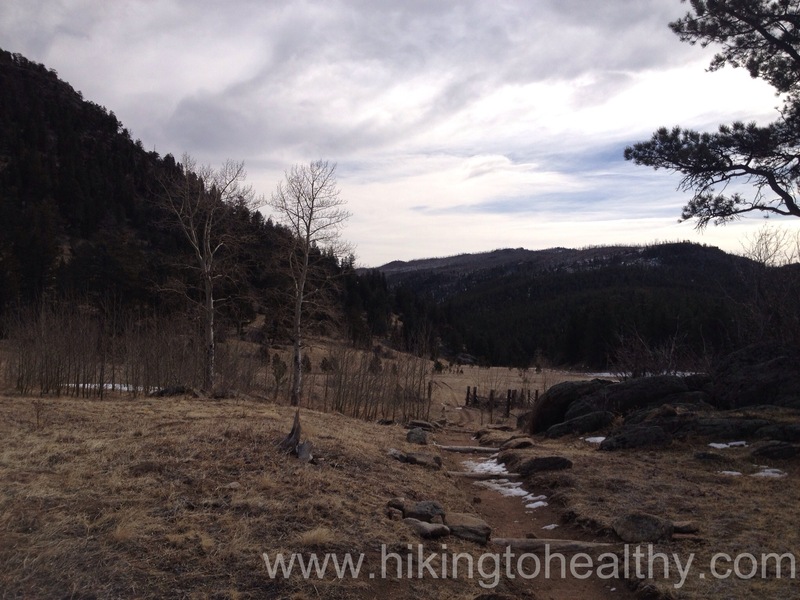 You certainly do hike in some beautiful areas. Thanks for today’s tour and history lesson. A great post! 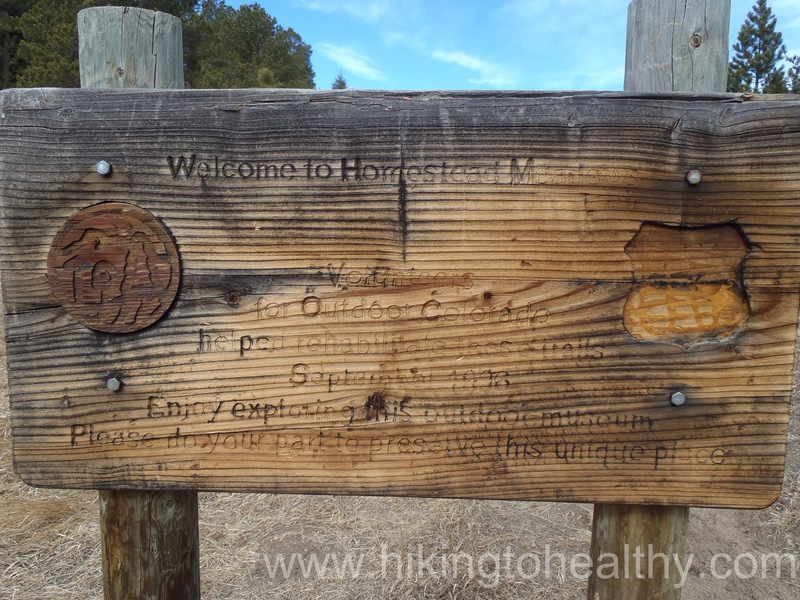 I love the homesteader information and pictures. What a great experience to have solitude on your Ike there. Thanks for taking us along! It was just a great hike and experience for us too thank you!!! 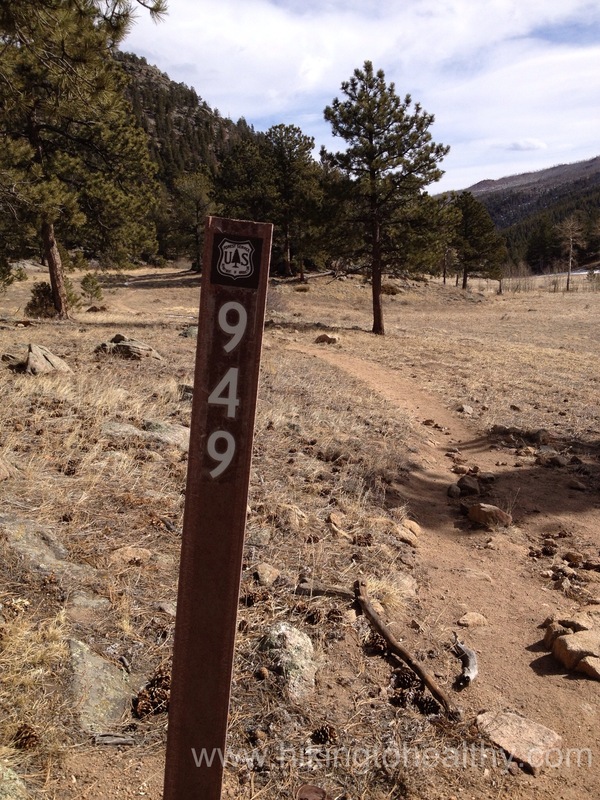 I haven’t heard of this trail before but it sounds like a great one to hit. Kudos to you for logging 10 miles in snow and ice! Hey thanks! 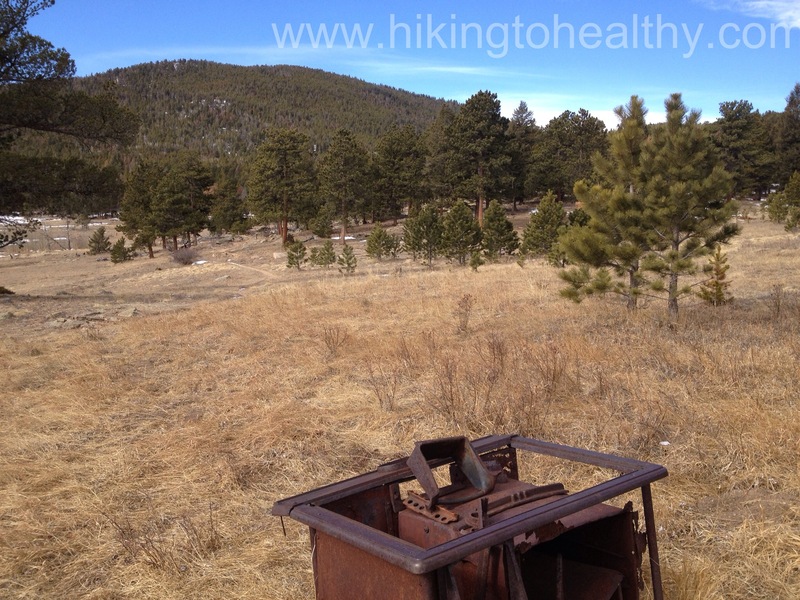 I found it in the Falcon guide for best hikes near Denver and Boulder but needed more and so found this alternate route….. You should check it out we really want to do it again in summer or fall.